The No. 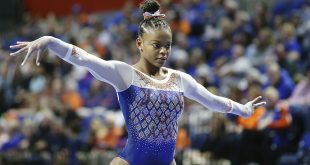 3 Florida Gators gymnastics team will travel to Fayetteville to take on No. 20 Arkansas Razorbacks Friday at 8 p.m. After coming off of a tight loss from Georgia last week, the Gators will compete with a little extra tonight. The Gators are 5-2 on the season with a 5-1 record in SEC play. Florida’s only SEC loss came from Georgia last week by a final score of 197.450 to 197.375. This loss gave the Gators a tie with the Auburn Tigers in SEC standings. Both the Gators and Tigers are 5-1 as they head into their matches tonight. 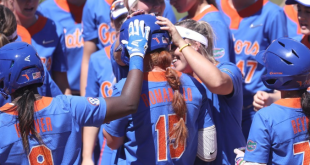 A win tonight for the Gators would at least guarantee a share of the 2019 SEC regular-season title. Freshman Leah Clapper discusses how the team can prepare for tonight’s important match. While the Gators SEC regular season title is on the line, the Razorbacks are looking for their first SEC win this season. Tonight’s match will be the fifth consecutive meet against a top-12 team for Arkansas. On the Gators roster, there are a few athletes that stood out in the match last weekend against Georgia. Freshman Trinity Thomas won the uneven bars and floor exercise with two 9.975’s. That was her third consecutive all-around win as she hopes to continue that streak at Arkansas. She is definitely one Gator to keep your eye on. 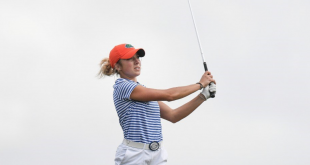 Another stand out Gator is the All-American junior Amelia Hundley. She led Florida on beam with a 9.925 against Georgia. Last but not least, is the senior All-American Alicia Boren. She took the vault win by equaling her season best with a 9.925. Sophomore Sophia Carter recorded her third 9.95 for her floor routine against LSU last weekend. Another gymnast to look out for tonight is Freshman Kennedy Hambrick who received a career-high score of 9.900 last weekend against LSU. The Florida-Arkansas meet tonight will not be aired on SEC Network or streamed on SEC Network+. 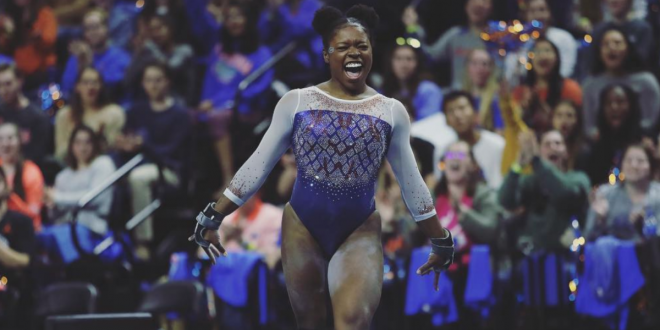 Highlights can be found on the Gator Gymnastics twitter account. 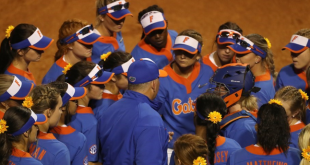 After tonight, the Gators may guarantee their share of the 2019 Southeastern Conference regular-season title.